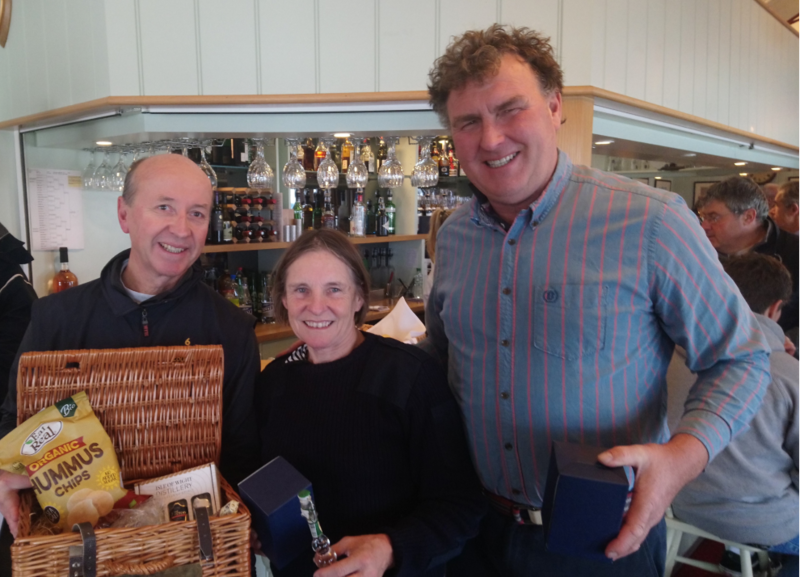 The Illusion Picnic Hamper trophy was held this weekend in Bembridge Harbour. On the Saturday the weather was very cold 3-4 degrees Celsius with a wind force that matched the temperature. The wind direction backed and veered between 210 and 330 with the prevailing wind from 290. After a longish delay owing to a lack of wind and direction the Race Committee decided to attempt a start. Light airs and very shifting winds was the order of the day. In the first race on Saturday there was a battle between husband and wife with Graham Bailey narrowly beating Julia. Julia had led the fleet from the start but was unlucky finding herself on the wrong side of a wind shift after the last leeward gate. The second race was got under way as soon as possible. Mark Downer got a good start and held the lead until the finish. Julia Bailey was second. 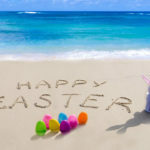 The race committee decided to shorten the race after one lap owing to the black of breeze. 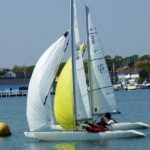 After a wait for a few minutes racing resumed once again and like the first race still on a very short course ( approximately 300 -350 metres and a wind rising and falling between 1-3knots and flicking 60 degrees at the time). 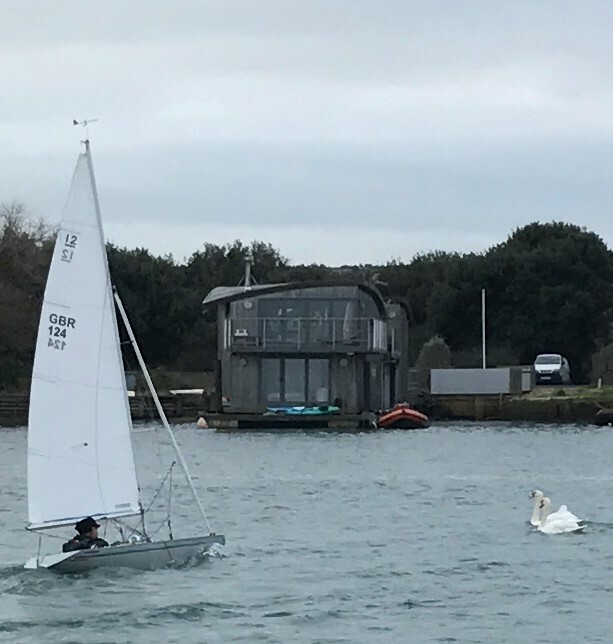 Mark Downer crossed the line 3 times before starting in earnest and during this time Graham Bailey made escaped from the fleet and used his advantage to keep his lead. Philip Bown was 2nd with Mark Downer 3rd. The next day Sunday 3rd was a better day for the race committee’s nerves still in the harbour with a temperature a much more clement 8-10 degrees Celsius. 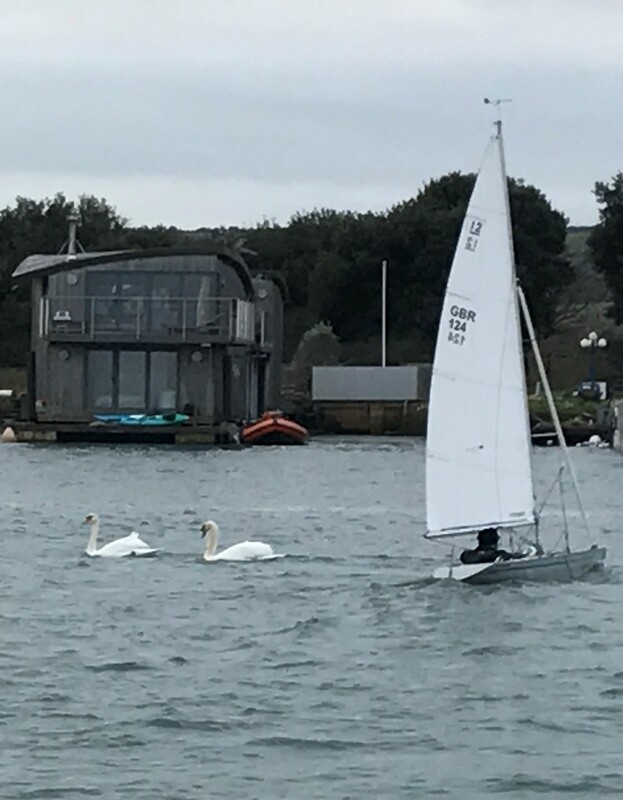 The wind fluctuating between 6 and 12 knots with a direction of 270 -310 The first race’s start was held up by Mr and Mrs Swan on the start line (see picture). 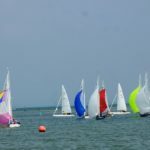 After a short delay the regatta got under way. Mark Downer won the fourth race just pipping Raymond Simonds at the finish. Graham Bailey was third. The fifth race Xander Shaw started with a perfect start the nose of his boat just behind the line. He kept his lead right up to the end of the race. Second was Mark Downer with Graham Bailey third. In the last race of the regatta Xander Shaw tried once gain for his perfect start resulting in his being pushed over the line by Mark Downer. Mark in turn was sailed off by another boat. Graham Bailey won the race by a country mile with Raymond Simonds 2nd and Julia Bailey 3rd. Xander recovered from his OCS start was 5th with Mark 6th.